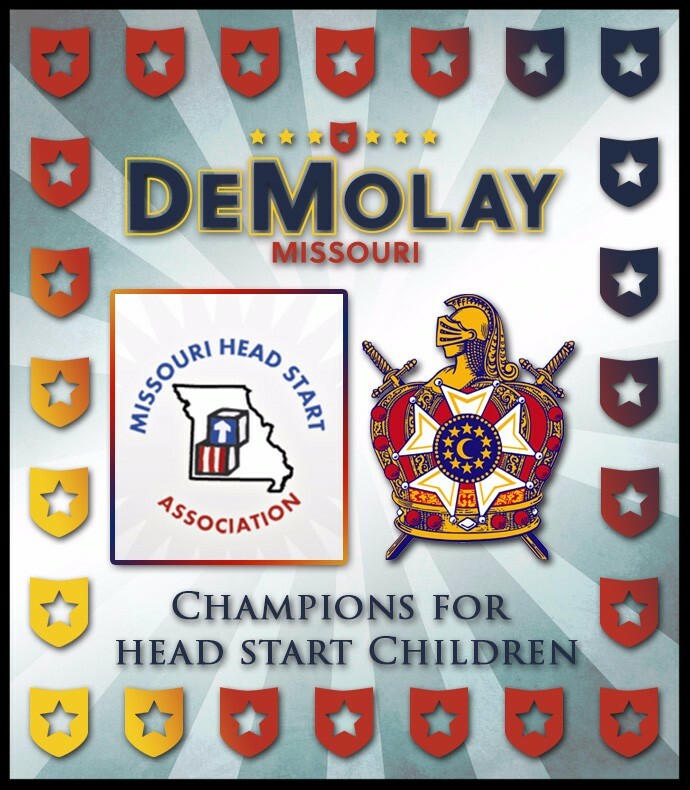 For the months of November, December, and January, Missouri DeMolay is launching a food and supply drive for local Head Start Centers. Head Start is a Missouri-wide provider of early childhood services for Missouri’s most at-risk preschool-age children and their families who are in need of clothes, healthy food, new toys for the holidays, art supplies and more. Head Start has served more than 18 million children and their families. Currently there are more than 1,500 Head Start programs and 16,000 sites nationwide which provide services to promote academic, social and emotional development, as well as providing social, health and nutrition services for income-eligible families. As your Chapter decides a course of action, please be mindful that if you are working towards toys for the holidays – those items can be dropped at the above noted Head Start Center by/before December 17, 2018. Items such as food and supplies can be dropped off anytime convenient for your Chapter between now and the end of January. Should you have any questions, please feel free to reach out to your direct Head Start Center contact. If they are unavailable to assist, please contact Mom Sheri Mistretta via email or via phone at (314) 852-0575. The greatest need for the 600+ children and their families served by these Centers is for children 3-5 years old: books, art supplies, holiday gifts, toys, pull-ups, socks, winter gloves/hats, playground balls, pants, and underwear. The greatest need for the 300+ children and their families served by these centers is for children birth-5 years old: books, art supplies, diapers, pull-ups, socks, winter coats, gloves and hats, playground balls, pants, underwear, and healthy age appropriate food – granola, applesauce, cereal, baby formula, and baby food. The greatest need for the 300+ children and their families served by these centers is for children birth-5 years old: books, art supplies, and healthy snacks (i.e. – granola, oatmeal, etc.). The greatest need for the 500+ children and their families served by the St. Joseph Center is for children birth to 5 years old: food (healthy, non-perishable: oatmeal, granola, canned meat/vegetables/fruit, tuna, pasta, peanut butter, baby formula), and supplies (toilet paper, paper towels, diapers, pull-ups). The greatest need in the Warrensburg/Knob Noster Centers is for children 3-5 years old: pull-ups, socks, winter gloves/hats, playground balls, art supplies, pants, and underwear. Utilize your Chapter’s social media to help spread the word. Get your local Masonic Family involved and see if their members can contribute. Leverage your family, neighbors, and friends to see if they can assist. Collect and store items at your Chapter; think about when you want to make deliveries to your Head Start Center – remember, we want to collect all the way through January! If you are providing gifts, consider wrapping them to make it extra special for the children and make sure to deliver to your Head Start Center before December 14, 2017. Know that no gift of service is too small and any help is appreciated by the Head Start families. Be sure to photograph and document your participation and send to info@modemolay.org upon completion.